When Anamika Chanda, 35, a Bengaluru-based fashion consultant, moved into an unfurnished house in 2017, she went online and selected a wardrobe, dining table and living room set from Furlenco, a furniture rental start-up, for which she paid approximately ₹ 3,000 per month. Chanda thought this would be a temporary arrangement—three months at most. But it turned out to be so convenient that instead of buying furniture, she simply continued renting furniture till she moved out to a different accommodation. “The ease of service really worked for us," says Chanda over the phone. “They came and set it up, we could pause the service when we wanted, and they would help us relocate if we moved to another place." She is one of thousands who rent furniture in one of India’s major cities. 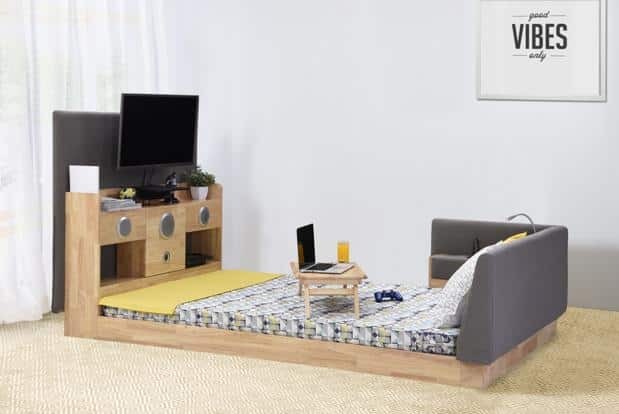 “Over the last three years, from the point Furlenco got its first VC funding, revenue has grown 25 times, and it has furnished more than 50,000 homes, in a business that is changing consumer behaviour," says founder Ajith Mohan Karimpana. Then there is Gurugram-based CityFurnish, founded by Neerav Jain in 2015. In the current year, the company’s annualized revenue run rate (ARR) is between ₹ 13-15 crore, and it has received 8,900 orders, compared to 3,300 orders at the same time last year. The company has 10,000 registered users across cities like Delhi, Bengaluru, and they come from a surprising variety of ages and backgrounds, though, perhaps naturally, there is a preponderance of consumers in the age group of 22-39. “We started with a rental service because people are more familiar with the concept," says Jain. “By 2020 we want to get into subscriptions and create an ecosystem where consumers can swap or upgrade their furniture, while staying within the same subscription channel." Furlenco has already moved to the subscription stage. Karimpana says, “We are seeing a 10-15% monthly growth in Bengaluru, which is our oldest market. We are growing even faster in other centres. I believe this is the right concept, not only in India but everywhere. Nobody should buy furniture." For millennials, renting furniture offers greater mobility and variability—the option to change something if they don’t like it. The service is easy to pause. Rental start-ups also include complimentary upgrades, and offer free relocation services as additional incentive. They are part of the thriving global shared economy that has made its presence felt in the last five years. Just like smartphones disrupted the business of photography, the shared economy concept is leading to the end of ownership, where modern companies are offering a new way of consumption: renting or sharing at a fraction of a price of owning. “Earlier the reward was in owning something. Today the reward is more in the experience," says Biju Dominic, CEO of Final Mile Consulting, a behaviour architecture firm, and a Mint columnist. “One can now experience a variety of things as compared to owning just one thing with the same amount of money." Dominic says the use of technology has also opened up more avenues for sharing. This attitude towards consumption has clearly changed over the years with the growing awareness around sustainability and the ecological and societal impact of consumerism. According to a July 2017 study by Juniper Research, Sharing Economy: Opportunities, Impacts & Disruptors 2017-2022, the global shared economy is pegged to reach $40.2 billion (around ₹ 3 trillion) by 2022, in terms of platform provider revenue, up from $18.6 billion in 2017. From working spaces to car rides to gadgets, furniture and clothes, people are renting like never before. A combination of factors—rising disposable incomes, brand consciousness, diversified wardrobes, changing lifestyles, a consciousness not to spend much on an outfit you’ll wear once—has resulted in the rise of online clothing rental business. The global online clothing rental market was valued at $1 billion in 2017 and is expected to reach $1.9 billion by 2023, according to a report by Allied Market Research. One of the first movers in India, way before American venture Rent the Runway made the formula a global hit, is The Clothing Rental, which was founded by fashion stylist Shilpa Bhatia in Mumbai in 2005. It was a time when big fashion brands were still not easily accessible here. “There was a need for high-quality fashion clothing that was also affordable. That is what prompted us to launch The Clothing Rental," says Sandhya Dhanawade, director at the company, over the phone from Mumbai. The company has two stores in Mumbai, specializes in ethnic as well as Western clothes for both men and women, and ships across the country. “There is also a rise in occasional wear," says Dhanawade. “Take, for example, a tuxedo. Who will wear that in Mumbai regularly? So it makes sense to rent it for a day, at 10% of the MRP, than buying it." The concept is simple. You log on to the website of these retailers, add to cart what you want to rent, pay online and the outfit will be shipped to you and taken back after the stipulated period. For a suit, The Rental Company charges between ₹ 2,000-5,000 per day. “When we were doing our research, we found a colossal change in the way millennials think. They believe in experience rather than hoarding," says Sabena Puri, an alumnus of Harvard Business School and Columbia University who founded online designer wear store Stage3 two years back with designer Rina Dhaka and Sanchit Baweja. “We also found that fashion has evolved from being something functional to being a mode of expression. And also there was a huge and potentially lucrative gap between aspiration and access. People wanted to wear glamorous designer clothes but couldn’t afford them. That’s the gap we wanted to plug," she adds. It is not just a question of affordability. People in general are moving from buying to renting. Even with property prices declining in major cities, people are happily renting. “It’s low rental yields in large Indian cities compared to the rate of interest on loans that make renting economically more viable," according to an earlier analysis in Mint (“Renting vs buying a house: Figures don’t lie", 27 June). 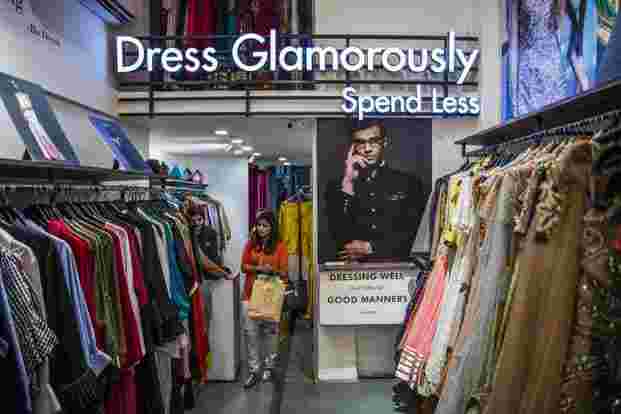 Delhi-based Stage3 allows you to rent clothes and accessories by designers like Manish Malhotra, Shantanu and Nikhil, and Sanjay Garg; prices start at ₹ 999. The biggest problem was to convince Indians about the concept but once that was done, there was no looking back. Although there are no industry-wide numbers available, companies say they have witnessed steady growth over the past couple of years. Puri won’t get into the specifics but says the company has grown 1,000% over the last 18 months and it is “hard to keep up with the demand". Clothing rental firms believe this is the future of fashion. Puri says up to 85% of her customers are under the age of 35 and that Stage3 has evolved as the one-stop shop for young people looking for occasional wear, from the interview suit to the party lehenga. India’s young population’s demand for luxury encouraged global automobile companies to take cognizance and introduce their latest models in the country, says Delhi-based Aditya Loomba, joint managing director of car rental company Eco Rent A Car. Founded in 1996, Eco Rent A Car is one of India’s biggest providers of luxury cars on rent and is present in 16 cities. Loomba says before 2004, there weren’t many options for luxury cars in India but since “the IT boom around 2004-05, which propelled economic growth, growth in per capita income and also resulted in a lot of multinational companies setting up shops in India, disposable income has risen as has the appetite for luxury". “Even though everyone can’t buy a luxury car, people do tend to rent it for occasions. You can, for example, rent a BMW 7-Series car, which costs upwards of ₹ 1.25 crore, for ₹ 20,000 a day. A Maruti Suzuki Dzire can be rented for ₹ 1,500," says Loomba. Renting, says Loomba, has not only tried to solve the problem of lack of parking space in metro cities, but also helped people upgrade and experiment with different vehicles without spending a fortune. It has also helped his company clock an annual revenue growth of 35%. Indians have traditionally been known for their preference of ownership, be it a home, expensive jewellery, designer dress, or even a car. But this obsession with hoarding is being challenged by young professionals. And even though the sharing economy in India is at a nascent stage, growing at the current rate, it might become the mainstay of several other industries in the years to come.